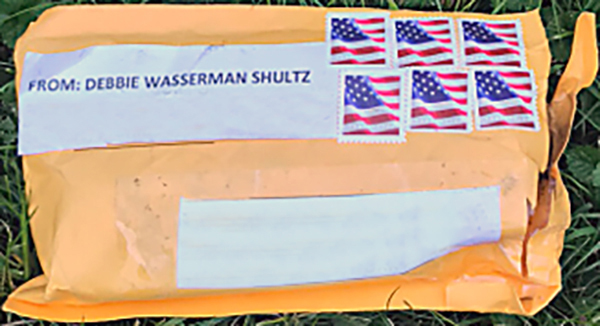 (image provided)-Exterior of one of the suspicious packages. Addresses have been removed to protect privacy. Quantico, Virginia(October 25,2018)(CNBNewsnet)--Between October 22 and 24, 2018, suspicious packages were received at multiple locations in the New York and Washington, D.C., areas and Florida. The packages are being sent for analysis at the FBI Laboratory in Quantico, Virginia.